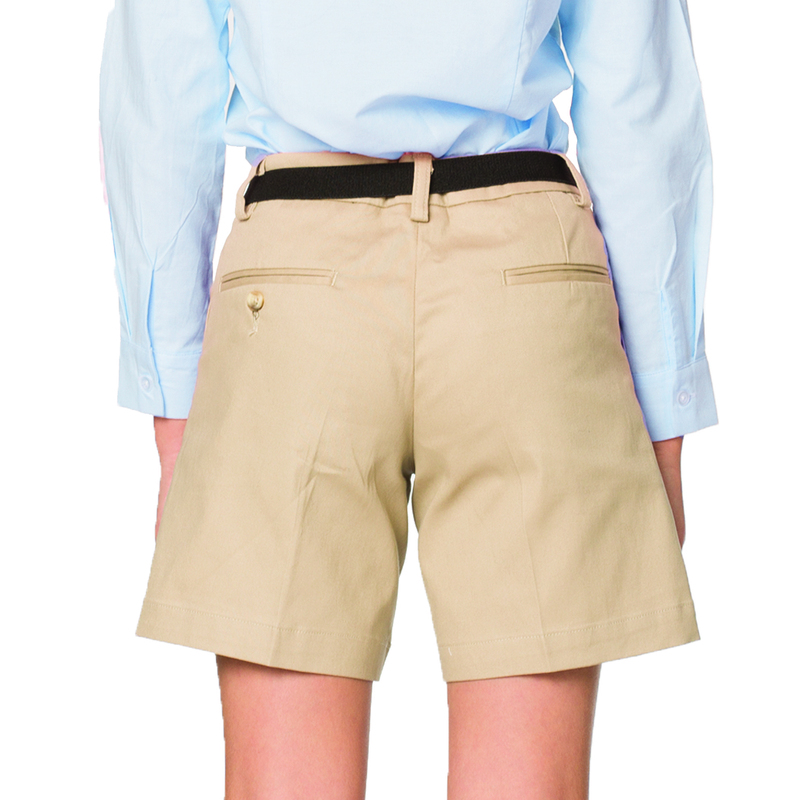 The Elite youth shorts are made from a Stretch Cotton/spandex fabric. 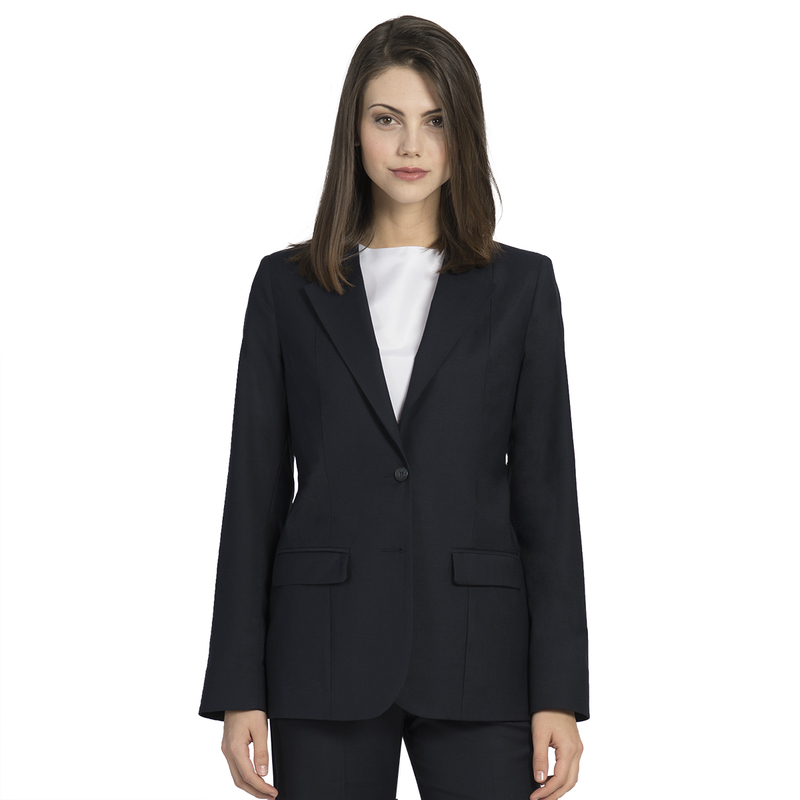 They feature a low rise, front quarter pockets, back besom pockets, belt loops, a french fly zipper front with button closure and come hemmed. 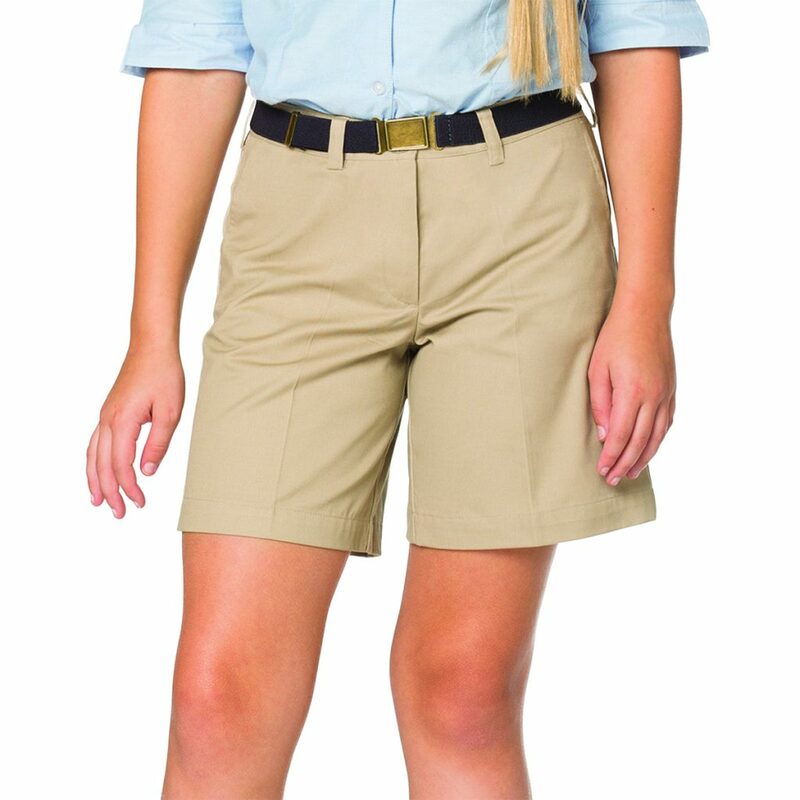 Available in navy, khaki and black. Youth sizes 7-16. Tags: girls, khakis, kids, shorts, uniform, youth.